Went and finally got a picture from bgn, and ended up with something clean. Shocking (ugh, the pun). He's Stormhowler showing off a bit of his powers, possibly about to toss that charge at some criminal. 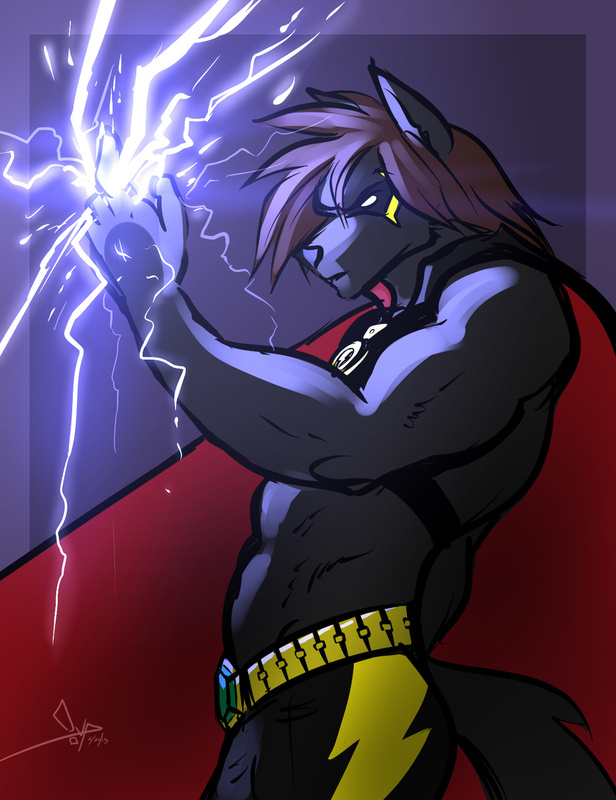 Do you dare cross this lupine master of lightning? Art by bgn, Stormhowler/Yamato Iouko belongs to me.